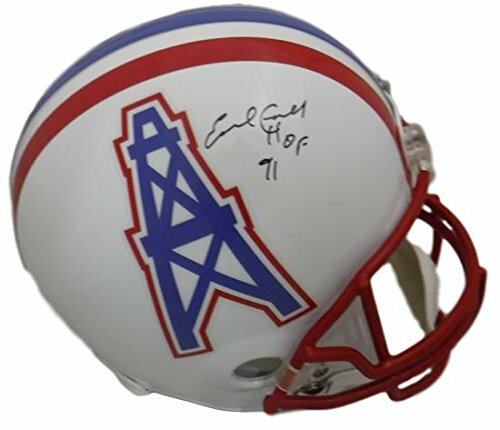 This is a Houston Oilers Full Size Riddell Replica helmet that has been personally signed by Earl Campbell. Campbell was drafted #1 by the Houston Oilers after graduating from Texas University in 1977 and winning the Heisman Trophy. He rushed for 9407 yards and 74 touchdowns over his career with the Oilers. This includes a certificate of authenticity from James Spence Authentication (JSA) and Denver Autographs. 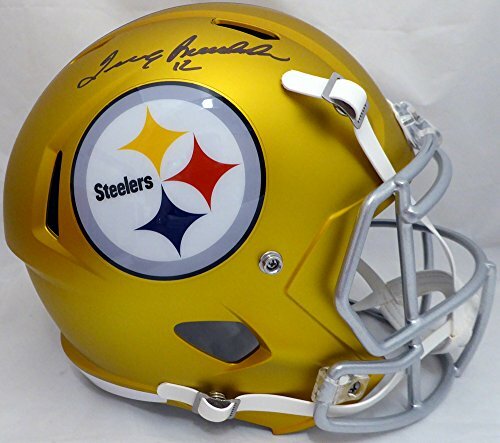 This is a Pittsburgh Steelers Gold Blaze Full Size Speed Replica Helmet that has been hand signed by Terry Bradshaw. This item has been certified authentic by Beckett Authentication (BAS) and comes with their sticker and matching certificate of authenticity. 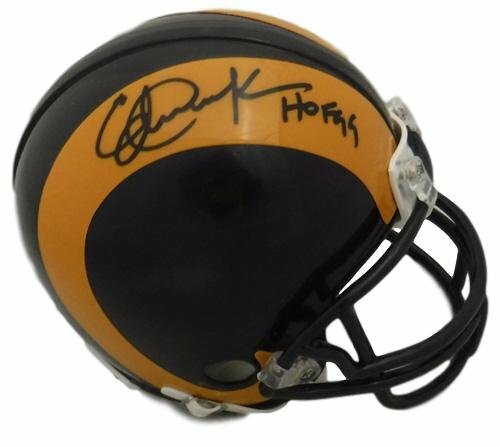 Eric Dickerson autographed Los Angeles Rams Riddell mini helmet with HOF 99 inscription. He became one of the greatest running backs of all-time after a college career at the University of Southern Methodist where he earned All-American honors. He retired as the NFL's second all-time leading rusher, behind just Jim Brown, with 13,259 yards. He still holds the NFL record with 2105 rushing yards in one season (1984). This include a picture from the signing as well a certificate of authenticity and matching serial numbered hologram from James Spence Authentication. 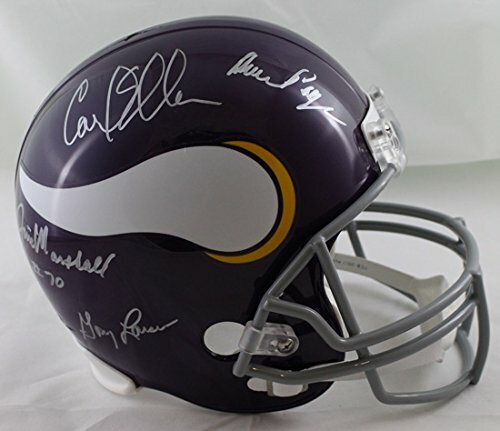 This is a Minnesota Vikings full size replica helmet that was personally autographed by the 4 members of the Purple People Eaters: Alan Page, Carl Eller, Jim Marshall and Gary Larsen. Purple People Eaters were the defensive line of the Minnesota Vikings from the late 1960s to the late 1970s. 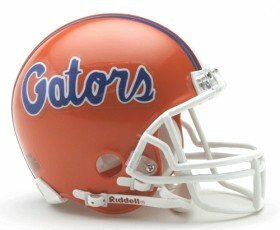 The term is a reference to a popular song from 1958, the efficiency of the defense, and the color of their uniforms. The motto of the Purple People Eaters was "Meet at the quarterback. This item includes a certificate of authenticity from James Spence Authentication (JSA) and Denver Autographs. 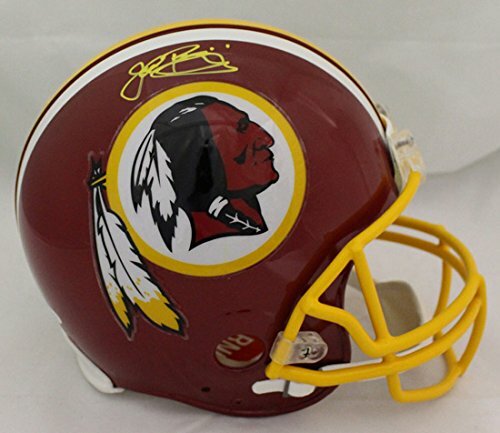 This is a Washington Redskins full size throwback proline helmet which has been personally autographed by John Riggins. With the Redskins (1976-1979 and 1981-1985) he racked up the touchdowns and had four 1000+ yard rushing seasons. During the 1982 season he helped the Skins to a Super Bowl championship and was named the MVP of Super Bowl XVII after rushing for 166 yards on 38 carriers. In 1983 he scored a touchdown in 13 consecutive games. This item includes a certificate of authenticity from James Spence Authentication (JSA) and Denver Autographs. 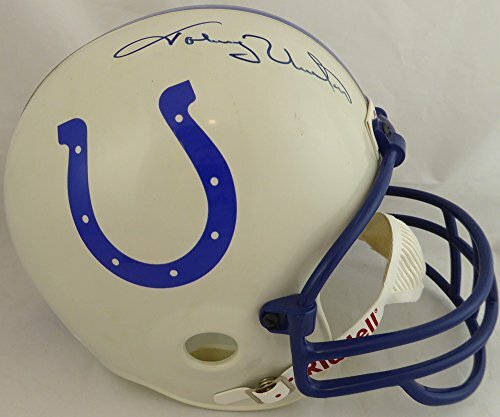 This is a Colts Full Size Replica Helmet that has been hand signed by Johnny Unitas. It has been authenticated by Beckett (BAS) and comes with their sticker and matching full page certificate of authenticity. 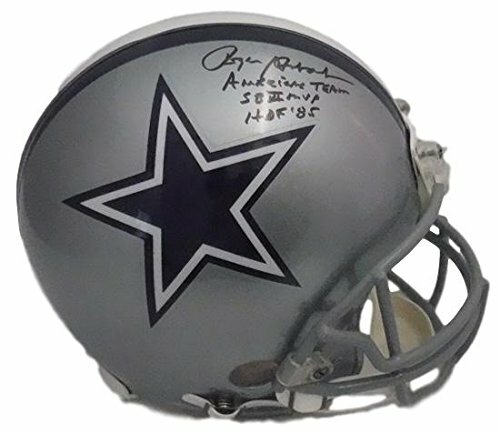 This is a Dallas Cowboys Riddell full size proline helmet that was personally autographed by NFL Hall of Fame quarterback Roger Staubach with Americas Team, SB VII MVP and HOF 85 inscriptions. One of the all-time greats he lead the Dallas Cowboys to two Super Bowl championships in 1971 and 1977. His NFL career was cut short by his four year Naval commitment following the 1963 season in which he won the Heisman Trophy. He was awarded the MVP of Super Bowl VI, passed for 22,700 yards, 153 touchdowns and upon retirement had the best ever QB rating at 83.4. This item includes a certificate of authenticity from James Spence Authentication (JSA) and Denver Autographs. 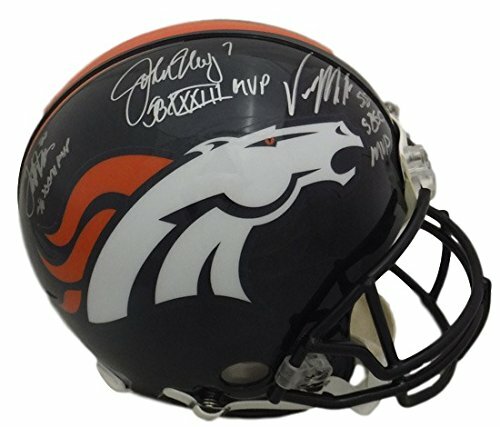 This is a Riddell Proline helmet that has been personally signed by the three Denver Broncos Super Bowl MVP's; John Elway, Von Miller, and Terrell Davis. This helmet includes a photo from the signing and a certificate of authenticity from James Spence Authentication (JSA) and Denver Autographs.